For the first post in my second year of Creativity 521, the spotlight is on an up-and-coming kid-friendly F&B outlet that promises fun for the entire family - Eatplaylove Café. When I first heard about this café, it sounded fanciful and even a tad whimsical. 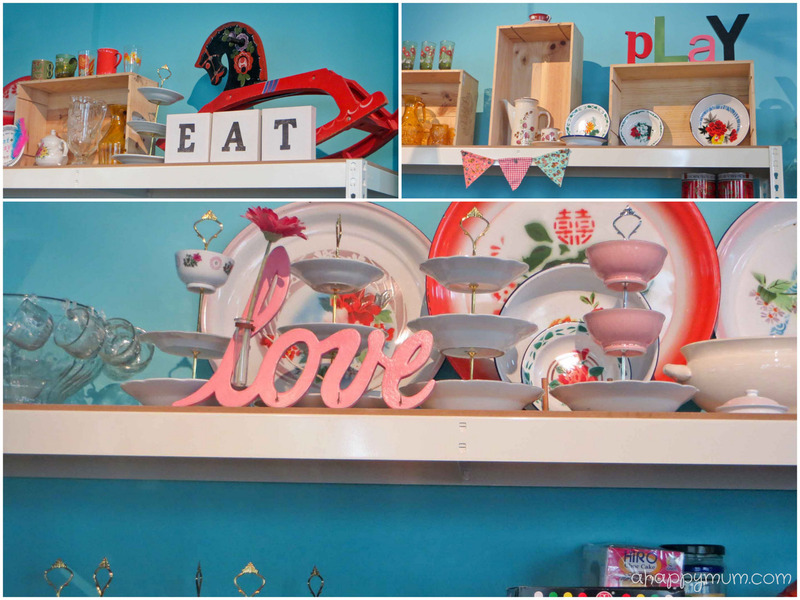 To combine crafting and eating, well, it didn't sound untasteful or eclectic. Not to me at least. In fact, it sounded like a dream come true. 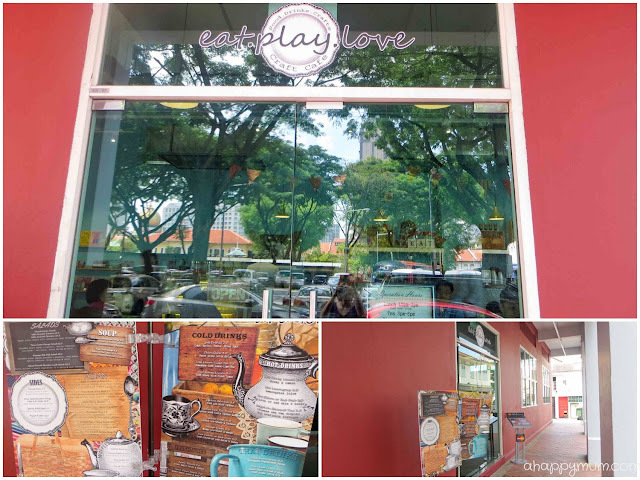 Situated at Aliwal Arts Centre, Eatplaylove Café looks bright, inviting and offers an exciting menu which consists mainly of Siam-inspired main courses such as Tom Yum Seafood Noodles ($8.50) and Green Curry Chicken ($7.50). For those who prefer to go Western, you can pick from courses like Spicy Beef Burger ($14.50) and Pesto Grilled Fish ($10.50). For kids, non-spicy dishes such as Chicken Mararoni Soup ($5.50) and Macaroni and Cheese Bake ($7.50) are also available. For our lunch that day, we tried their Pesto Grilled Dory, Chicken Chop with Mushroom Sauce and Tom Yum Seafood noodles, which were deliciously cooked and exceeded my expectations of this quaint café. I especially loved one of the sides - Deep Fried Split Mid-wings which were addictive and not too salty for the kids. For drinks, you could choose from fresh juices, hot drinks, fruit teas, ice blended or Thai drinks such as Red Hale's Sala Drink, a popular street drink in Bangkok. Moving on from food, the interior décor of the place was what really impressed me. Pastel blue walls, vintage furniture, wooden chairs, multi-coloured ornaments, interesting array of craft supplies and accessories worked together to give the place an unique and chic appearance. It brought a smile on my face when I realised that I could even find some of my childhood favourites here, like balloon bubbles, styrofoam planes and paper balloons. 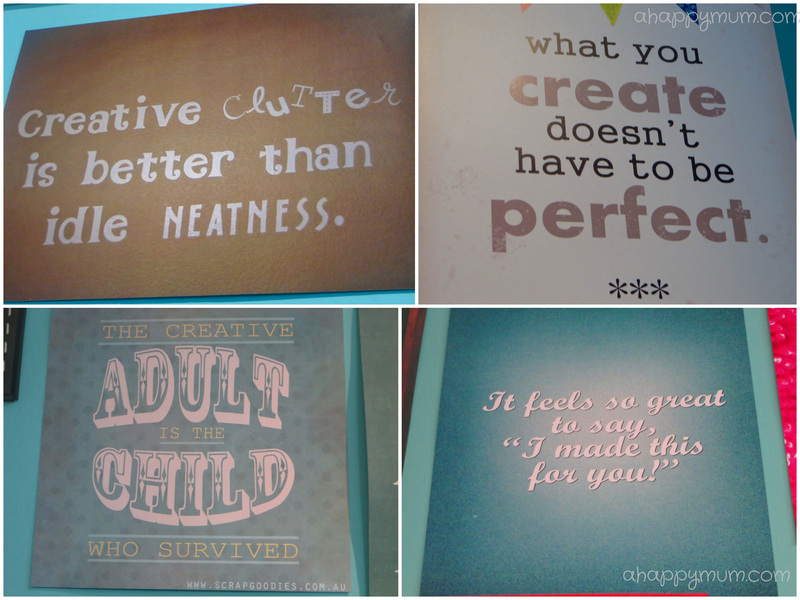 This wall with all the creative taglines and posters was my favourite. "Creative clutter is better than idle neatness", now that is a little consolation as to why I constantly have a messy house. 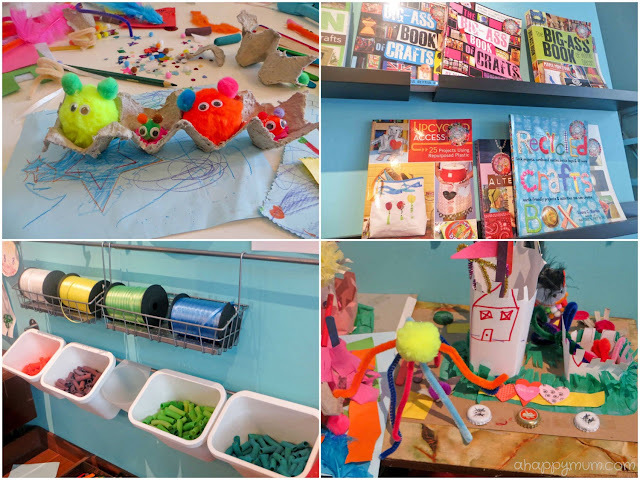 For parents who think they do not have crafty hands, there are plenty of craft books that provide easy to follow instructions and templates for your use. While some people may like to read novels or comics in their free time, I actually love to look through such books simply because they are inspiring, colourful and cute to the max. Let the fun begin! 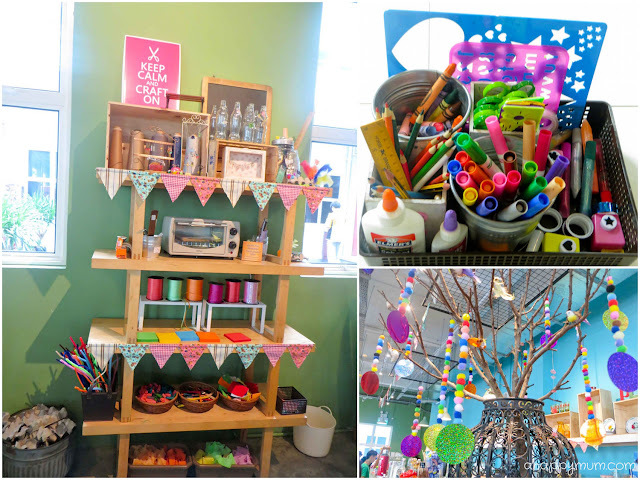 After lunch, we proceeded to the craft corner where kids could let their creative juices flow and use assorted materials to make their own work of art. At a cost of $10 for two hours on a weekend, it was well worth it because Angel was simply delighted from start to end. Once we made the payment, we were given a pack of materials including fur balls, foam stickers, plastic eyes and embellishments. There were also free flow materials such as coloured pasta, ice cream sticks, pipe cleaners, egg trays, felt cloth and ribbons for everyone to use. One sad trend the café is facing is that many customers tend to waste the art materials by tossing them around or plastering them in glue, causing them to be dumped into the bin at the end of the day. Supervision is key, yeah? I believe if parents make a little more effort, this can be stopped and we can continue to make beautiful art pieces knowing that materials are utilised and not thrown away. It is also a good opportunity for us to teach the kids about the importance of recycling, right? We ended up spending nearly five hours at Eatplaylove on our first visit, taking the chance to catch up with friends while the kids immersed themselves in crafty fun. 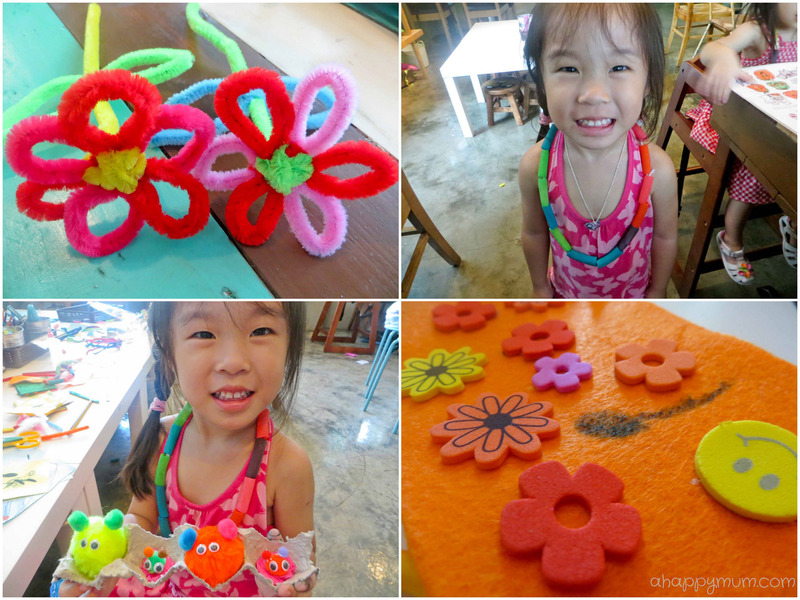 What can I say, even the hubby and I enjoyed ourselves at the craft corner as we bonded with Angel and made pasta necklaces, cute furry animals and even a dog that looked more like a caterpillar. These were what we made that day. My favourite was the fur balls because Angel said it was our happy family, big ones were Daddy and Mummy, small ones were her and the little sister. In case you didn't notice, we made this cute, personalised necklace with a shrinky dink rabbit pendant for my girl, who was over the moon when she put it on. More on shrinky dink magic in the next post of Creativity 521. Good food, cosy ambience, friendly staff, fun crafting and happy kids. Now, this last reason is why I bet we will be coming here often to eat, to play and to love. Opens daily 12pm to 10pm, Closed on Tuesdays. Kitchen closes 3pm to 6pm, except weekends & PH. 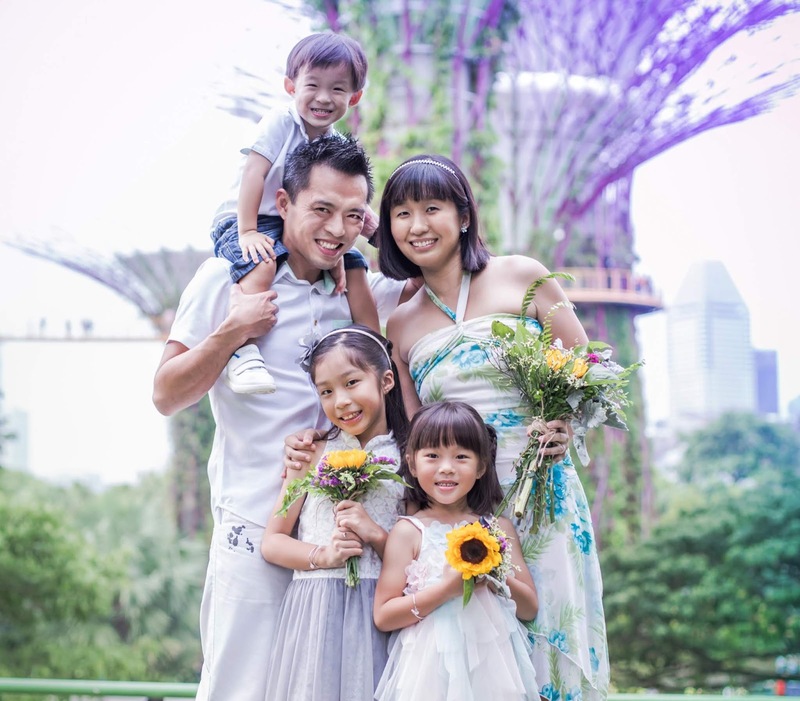 Fore more information, visit their website or Facebook page. Disclosure: This review is written out of my own accord and desire to share this creative hangout with my readers. No compensation was received and all opinions are based on my own experience. Oh, I really have pop by this place. I think I would spend a whole day there! 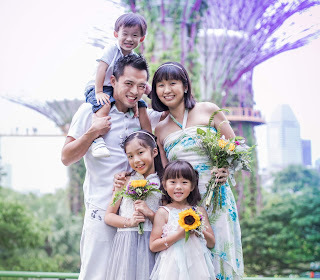 Hihi, the little girl with the checkered dress is my friend's daughter. I will ask her when I see her next time! Meanwhile have fun when you visit the place! !